Resident Evil: Revelations: Resident Evil Revelations weapon sets available now! Resident Evil Revelations weapon sets available now! Two weapons and upgrade packs for Resident Evil Revelations,previously offered as pre-order bonuses, are now available for purchase on PSN, Xbox LIVE, Wii U eShop, and Steam for $1.99 each. 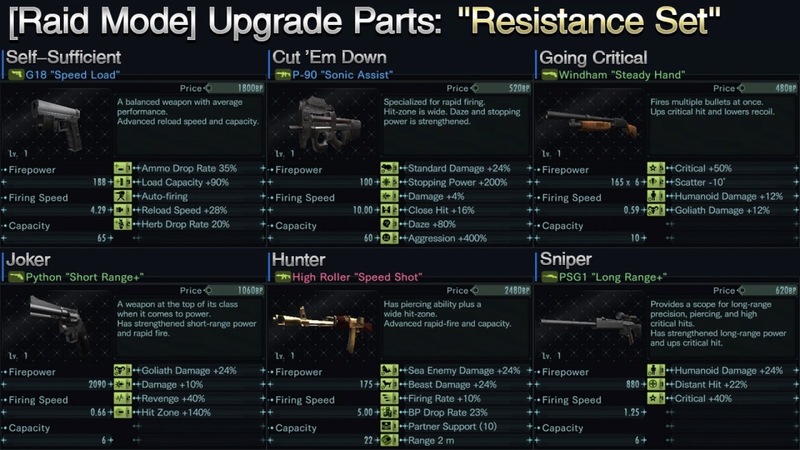 Resistance Set - There are 6 weapons and 28 parts in all. Parts include Giant Rabbit’s Foot 3, Green Belt 3, Poisonous Lure 3, Hunting Gear 3, Dehumanizer 3, and more. 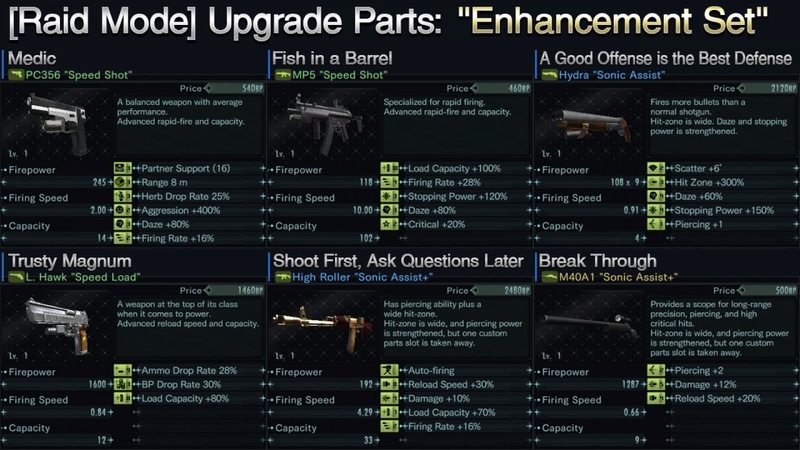 Enhancement Set - There are 6 weapons and 27 parts in all. Parts include Long Magazine 10, Fire Rate 4, Damage 5, Piercing 2, Aura of Strength 3, and more.